France’s yellow vest protesters were back on the streets Saturday to keep up the pressure on French President Emmanuel Macron’s government and to decry the number of people being injured by police during anti-government demonstrations. Multiple protests were taking place in Paris and other cities to denounce Macron’s economic policies, which they view as favouring the rich, for the 12th straight weekend of demonstrations. In Paris, scuffles broke out between some protesters and police around the Republic plaza, northeast of the city centre, where hundreds of demonstrators headed on Saturday afternoon. Police appeared to be trying to disperse the crowd. Thousands of demonstrators in the French capital paid tribute to the yellow vests injured during clashes with police, an effort to unify growing divisions in the grassroots movement. Several competing groups of yellow vests said they are getting ready to present candidates for the European Parliament election in May, while other figures insist the movement must remain non-political. 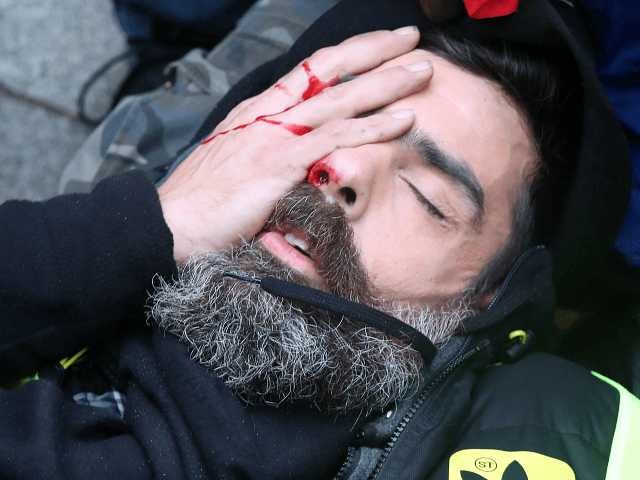 The government says around 2,000 people have been injured in protests since the movement began Nov. 17, including at least four serious eye injuries. Separately, 10 people have died in traffic accidents related to yellow vest actions. Jerome Rodrigues, a prominent member of the movement who suffered an eye injury last week, was widely applauded by the crowd. 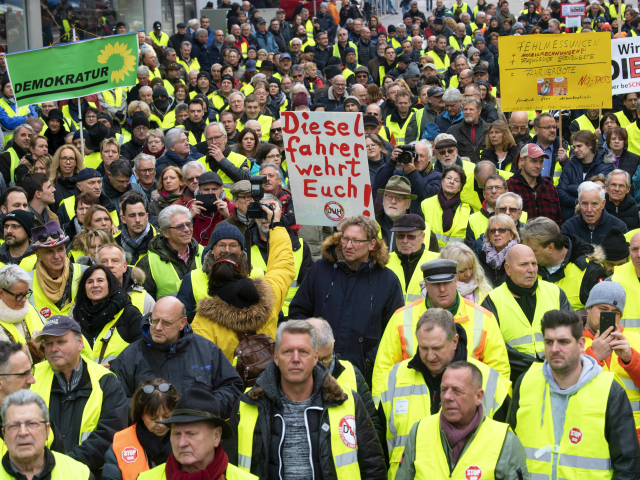 Frankfurt am Main (AFP) – Hundreds of people demonstrated Saturday in Stuttgart, the bastion of Germany’s car industry, against a recent driving ban on older diesels, wearing yellow vests to match protesters in France whose movement began as a reaction to proposed fuel hikes. Since January 1, only diesel vehicles meeting the Euro 5 emissions standard are allowed into Stuttgart, home of Mercedes-Benz maker Daimler, Volkswagen subsidiary Porsche and the world’s biggest car parts supplier Bosch. The demonstrators held banners saying “Pro-diesel” and “Diesel drivers mobilise” as they gathered outside a car emissions centre. “What’s happening to people is unjust,” joint organiser Vasilos Topalis told AFP. “Tens of thousands of people are affected and can’t afford to buy a new car” following the court-ordered ban, he added. Environmental organisations last year took to the courts to push through similar driving bans in many German cities where emissions exceed European Union limits. Judges ordered Berlin, Mainz, Hamburg and Bonn to limit some diesels’ access, while parts of a motorway near Essen will be closed to the cars.